Sui Dhaaga Made In India is an Upcoming Bollywood Film in 2018, It is Social, Drama Film and Anushka Sharma, Varun Dhawan in lead roles. This film is Directed by Sharat Katariya and Produced by Maneesh Sharma. It is made under the banner of Yash Raj Films. Sui Dhaaga is scheduled to release on 2018. 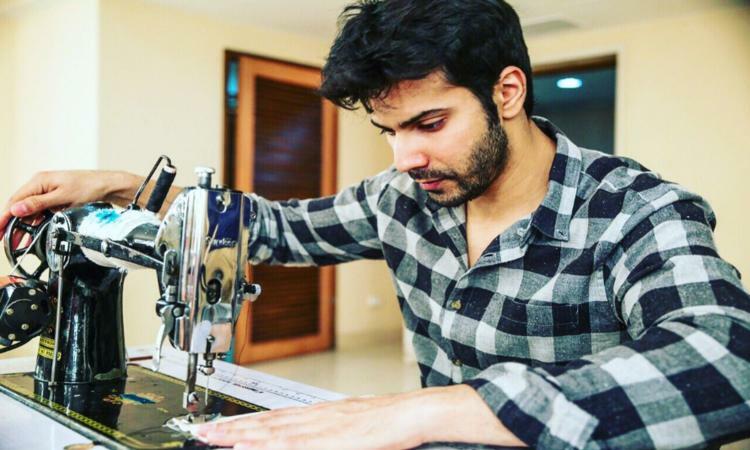 In these photos, Varun is seen stitching the cloth in the tailor's roll on the sewing machine, while there are stitches on the clothes from the needle thread in the other photo. This film will be released next year on the occasion of Gandhi Jayanti. He will be in the role of a cloth businessman in this film.